Get This Must-Have Beauty Bag Now! It’s Beauty Week at Whole Foods and now is the time to stock up on body care essentials. From March 20 – 22, you’ll save 25% off facial care products – wow! I love that Whole Foods cares about our health, and as such, they do not sell any items that contain these dangerous toxins. I talk about eating a whole foods, plant-based diet with as many organic foods as possible, and I am also passionate about using high quality, organic, cruelty-free, non-toxic products on my skin. Our skin absorbs everything that we put on it, so it’s important that we read labels and look for items that are free of toxins. I also prefer to buy products that are cruelty-free and have not been tested on animals. It’s not fair for animals to suffer just so we can learn what we already know: toxic chemicals are dangerous and should be avoided. Why do bunnies need to go blind for this? They don’t! Pick up cruelty-free, non-toxic items like the ones in this Beauty Bag and be kind to yourself, animals, and the environment :). I went to Whole Foods this morning and picked up the Beauty Bag featured at the top of this post and I love it! The retail value of the bag is $60 but they’re selling it for just $18. I have already tried the Pacifica Naturals Lip Tint and it’s heavenly! It tastes and smells like vanilla and it has a very light pink tint. I will definitely buy this when I run out. Since the entire Beauty Bag is on sale right now for $18 and this Lip Tint alone is $7, I definitely feel like this is an amazing deal. This Lip Tint is 100% vegan, cruelty and paraben-free. A portion of proceeds support clean water, which is wonderful. I washed my face and applied this derma e microdermabrasion scrub ($29.25 – on sale) and it’s amazing! As you all know, I have my go-to exfoliator, but I truly enjoyed this scrub. It’s a gentle way to exfoliate your skin and I truly felt like it left my skin feeling clean and soft. I can’t wait to use it again! 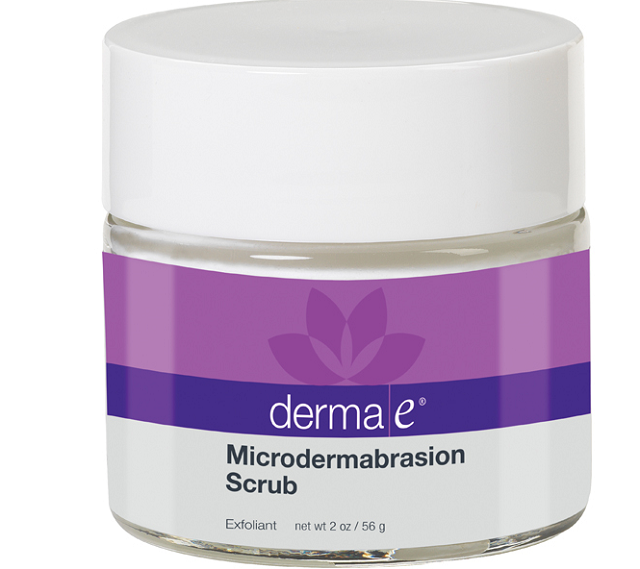 The microdermabrasion scrub that came in the Beauty Bag is 1/2 oz, while the one sold in stores and online is 2 oz. This microdermabrasion scrub is 100% vegan, cruelty-free, and paraben-free :). After I exfoliated with the derma e scrub, I put on this Trilogy Moisturising Cream ($44.00). The cream that came in the Beauty Bag is 35 ml, as opposed to the 50 ml tube that’s typically sold in stores and on their site. I usually use Organic Coconut Oil as a moisturizer, so it’ll be great to try something new for a while. 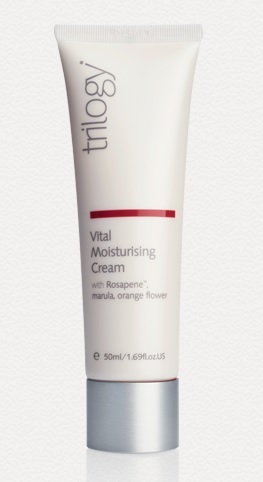 This moisturizer works well and has marula and orange flower. I love that it feels light and I did notice that it hydrated my skin well. Like all of the products in the Beauty Bag, this moisturizer is cruelty-free. It’s also made with delicious, organic ingredients. You can read about Trilogy’s inspiring philosophy here. 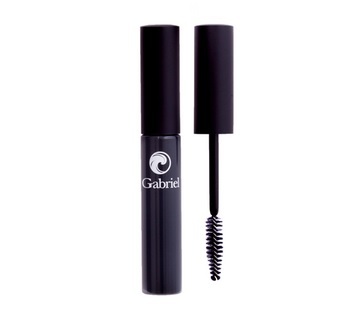 I have been a fan of Gabriel Cosmetics for a while, so I was thrilled to learn that there would be a Gabriel mascara ($15.20) in the Beauty Bag! I love that their products are vegan, cruelty-free, and non-toxic. I recently purchased two amazing nail colors from them, so I will have to share pictures with you all! I haven’t tried this Acure Facial Mask ($15.99), but I can’t wait until I do! This is a cell stimulating facial mask that contains argan stem cell and chlorella growth factor. The instructions on the back of the tube say, “apply evenly over the face until you look like a green sea-monster” – ha! I’ll admit that the only face masks that I have tried have been made at home with avocado – and they were great! I’ll have to update you all after I try this, but I am loving that it is vegan, sulfate-free, cruelty-free, paraben free, silicone-free, gluten-free, and synthetic fragrance free! The Beauty Bag either comes with Pacifica Color Quench Lip Tint or a sample of their eyeshadow. Since I went with my mom, we were able to try both. The eyeshadow that came in my mom’s bag is Unicorn/Moonbeam. It’s 100% vegan, cruelty-free, and formulated without FD&C color, parabens, and petroleum. A portion of the proceeds that they make from their sales support clean water. Wow! I love companies that are good for me, animals, and the environment. 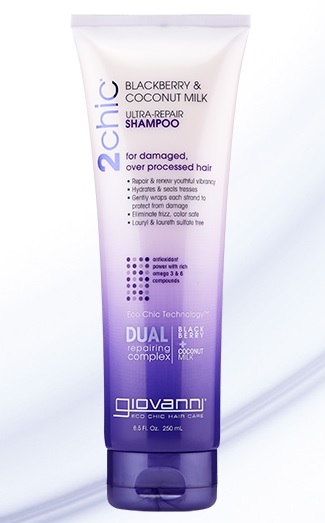 The last product in the Beauty Bag is a sample of Giovanni’s 2chic Ultra-Repair Shampoo ($8.99). It’s 100% vegan and cruelty-free. It also contains blackberry and coconut. There are no parabens or lauryl/laureth sulfate, which is awesome. I haven’t used it yet, but I just smelled it and it smells incredible! I’ve been using Aubrey Organics Shampoo and Conditioner, but maybe I’ll love this and make a switch. I’ll probably stick to my Aubrey Organics Conditioner, because it’s amazing. I love putting it on the tips of my hair so that my hair will stay long and healthy. There you have it! Hurry to your nearest Whole Foods and get your Beauty Bag now!